Quinta do Vesuvio is the most magisterial of all the Quintas, the near-baroque grandeur of the building dominating the river high in the Douro Superior. 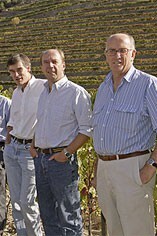 As the show-case property, its lagares are often trodden by the international wine trade when they visit, usually after dinner, so with a degree more abandon than the professional teams, whose march is tighter in a rather different sense. The night temperature at Vesuvio did not drop below 20 degrees for all of September 2011, entitling it to an official description of ‘tropical’. After the mild mid-summer and rain on 21st August and 1st September, this balmy hinter-season was ideal and the sugar levels and phenols matured harmoniously. 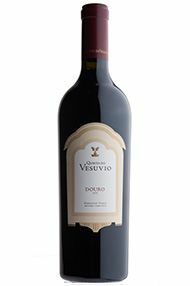 The late-ripeneing Touriga Franca, which makes up 45% of the blend, had an especially happy time of it and ensures that the famous Vesuvio aromatic gum cistus aromas are present and correct. This is a fabulous wine, one of my favourites this year, reminding me of the 1994 at a similar age. 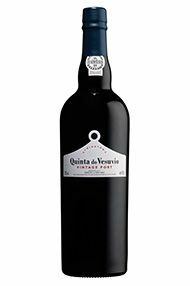 It manages to combine a seductive fin de siècle plush with a very firm and disciplined mid-palate, with ripe and harmonious tannins providing counterpoint. 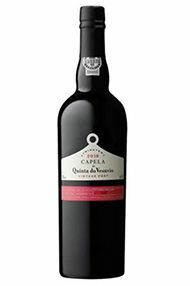 Displaying a vivid nose with complex floral aromas, spices and lifted, pure fruits, this is rich and ripe on the palate, with layers of spices, blackberry and damson. The finish comes packed with cigar box, gunpowder and spicy fruits. All in all, this is layered and very fresh with great elegance; it is outstanding. 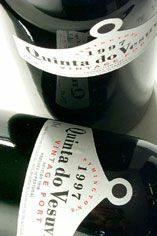 Only 250 cases were made of this rich and wonderfully concentrated wine. The leitmotif of the vintage, namely purity, is the key here, the menthol freshness sitting comfortably with the sheer weigh of black fruit and the ripe and muscular tannins.